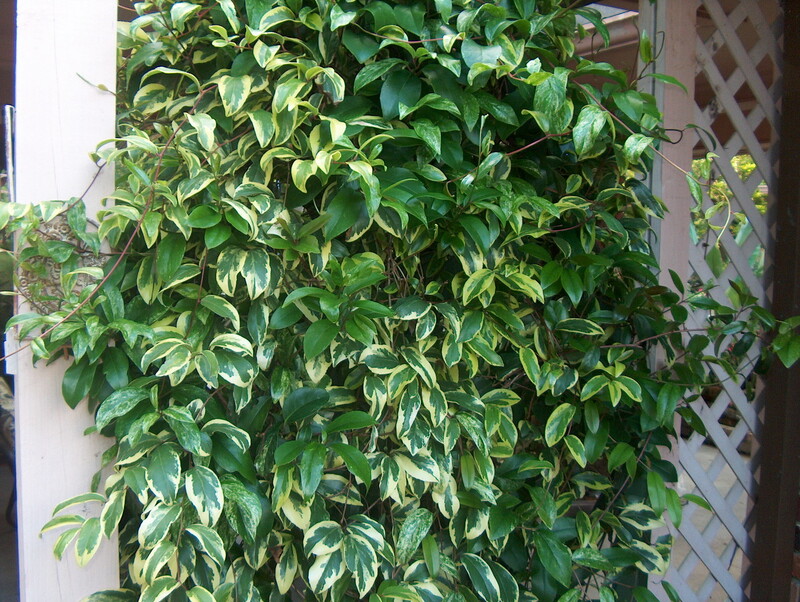 Comments: A wonderful evergreen, variegated vine for use on a variety of garden structures. Does not grow well in full, hot sunlight. Produces red fruit only when both sexes are present in an area. Red berries produced only on female plants and only when pollination and fertilization have taken place.